Currently it isn’t possible to think about our world without thinking about video. Videos are around us all day long: in the cinema, on TV, on the internet and on every portable device connected to it. But how did the use of videos start? Why is video beneficial in education? In this article we will answer these questions and describe how to use video in an efficient way. After World War II, television became popular in the United states and Britain which brought videos into people’s homes. In 1960, colour TV was introduced and in 1970 video tapes came along. This made TV more on-demand, since you could record a TV show and watch it later on. Also, it was the start of accessible recording and sharing of videos. People began to collect personal memories on tape and share these with one another (Hilmes & Jacobs 2003). One of the very first live videos on the internet was the online streaming of a coffee machine in the Computer Laboratory of the University of Cambridge in England. People were tired of walking back and forth to check if there was any coffee left and set up a video streaming to monitor this (Kesby 2012). In 1993, web browsers were ready to display videos and in the late 1990s, the internet became faster and better capable of downloading them. In 2005, YouTube was launched as a place for people to share videos online and the very first video was from a founders’ trip to the zoo. YouTube grew rapidly and sharing videos became easier than ever (Thielman 2013). Currently, video is everywhere in our lives because of the use of smartphones and other portable devices. It is estimated that in 2020 about 80% of the internet traffic will be generated by video (Cisco 2017). Every student learns in a different way. Some learn better through listening, some by touching and some by observing. Therefore, it is important to use various teaching methods in order to reach every student (Gardner 1983). Visualisation with animation or static pictures is beneficial for learning. Both have the ability to show something which is difficult to explain in words. Also, they can show something which is not very accessible to people, such as an operating theatre, or show details that are difficult to observe with your own eyes. Moving images can help to mentally visualise a process, resulting in a lower cognitive load compared to reconstructing a situation form series of static pictures. Also, in static pictures, somewhat abstract signals such as arrows or highlights are more open to interpretation than in moving images. This can lead to confusion and misunderstandings (Höffler & Leutner 2007). In our previous article, we wrote that while learning a new dynamic task, it is especially beneficial to use animations instead of static images (Lowe & Schnotz 2008). People need less time to learn new manual skills while observing moving images compared to their static counterpart (Boucheix & Forestier 2017). In some cases, videos can be as good as an instructor, especially when students have the possibility to watch the video as many times as they need to. Compared to computerized images, video has a large benefit. A video shows a real situation and not just a standardized version. Moreover, it is also possible to film a procedure with several different instructors and collect a wide range of techniques. Students can watch these different videos which increases the educational value. Online video distribution can also be used to stimulate students to watch videos for educational purposes (Galbraith 2004). It is also beneficial for students to edit videos themselves since they learn more about the topic by editing a movie. They also learn general skills such as how to develop a storyline, video editing skills and how to tell a concise story (Naumann, Bowley & McArthur 2013). Nowadays, more and more companies use videos for their education. However, few companies use it on a large scale. 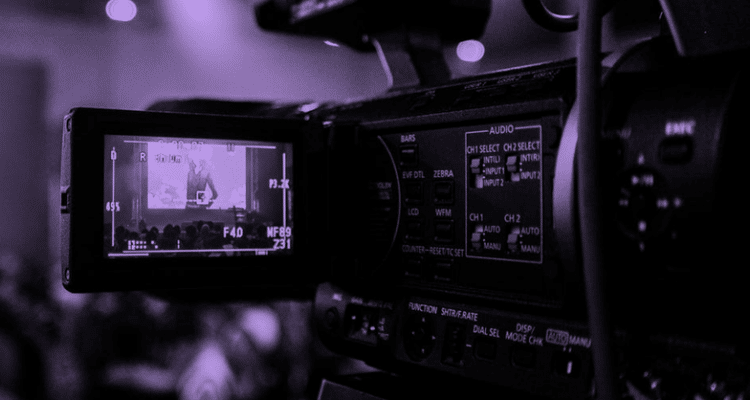 Video can be a very powerful medium to share knowledge within a company. Videos can be a property of the company which can be used for years. Also, the videos can be very relatable when team members are performing actions in their own facility and if this is recorded for educational use. Videos can also be archived and organized as a curriculum that suits the educational goal of the company. Many companies consider it too expensive to develop their own educational videos. However, at Revinax we have worked on this and developed our own unique way of recording and financing which makes it very well possible to use virtual reality video in your company. We use real footage of procedures which drastically reduces the production costs and it also helps to feel more engaged with the actions being performed. While creating educational videos, especially in virtual reality, it is very important to stabilize the image very well. If this isn’t done by using good equipment, the students can feel sick while watching the footage. We have developed our own recording equipment which allows to create a stable 180° image from the expert (first) point-of-view in high quality. When incorporating videos into education, there are several things to keep in mind. First of all, it is necessary to choose your video resources wisely. There is a large variety of educational videos available, so it is important to choose the video that suits your students and purpose best. Secondly, it is important to choose a video that isn’t too long. The average attention span lasts between 7 and 15 minutes so keep this in mind while selecting a video. Also, try to make students work while they watch. Give them something to focus on so that they are not passively watching a video. Afterwards, it is important to give students time to reflect on what they have seen. Ask them questions and discuss some key points. When students are at home, they can also use videos to refresh their memory about a certain topic (BBC). Videos can also be used to give students some new energy during a long Friday afternoon. When students get tired, it can be beneficial to use a different educational method to wake them up. If you decide to use a video for this purpose, make sure the video activates and stimulates the senses of students. This can be done by using a quick and energetic video, but also by using a different medium to display video, such as virtual reality. Virtual reality presents a virtual environment and activates various senses. While using real video footage, it is also still possible to add additional data in the 360° virtual space. This will activate students and engage them in the material. A good educational video needs to suit the purpose, stimulate the students and meet the other conditions as described in this article. Pedagogical expertise is required to design such videos and make sure your message is delivered in the most efficient way. Revinax comes with this expertise and keeps a close eye on improvements in training techniques. We specialize in the development of videos for a virtual reality environment. We develop immersive tutorials for complex gestures in various fields, such as the medical domain, risk management and crafts. We use real-life, 3D video footage, filmed from a first point-of-view, in order to optimize learning and let students and teachers reach their educational goals. For more information on our virtual technology and educational applications, don’t hesitate to check our website or contact us. BBC. “Education Videos: Ten Ways to Use Them Well.” Education Videos: Ten Ways to Use Them Well, www.bbcactive.com/BBCActiveIdeasandResources/EducationvideosTenwaystousethemwell.aspx. Cisco. “Cisco Visual Networking Index: Forecast and Methodology, 2016–2021.” Cisco, 16 Sept. 2017, www.cisco.com/c/en/us/solutions/collateral/service-provider/ip-ngn-ip-next-generation-network/white_paper_c11-481360.html. Gardner, Howard. Frames of Mind: the Theory of Multiple Intelligences. Basic Books, 1983. Höffler, Tim N., and Detlev Leutner. “Instructional Animation versus Static Pictures: A Meta-Analysis.” Learning and Instruction, vol. 17, no. 6, 2007, pp. 722–738., doi:10.1016/j.learninstruc.2007.09.013. Hilmes, Michele, and Jason Jacobs. The Television History Book. BFI Publishing, 2003. Kesby, Rebecca. “How the World’s First Webcam Made a Coffee Pot Famous.” BBC News, BBC, 22 Nov. 2012, www.bbc.com/news/technology-20439301. Lowe, R., & Schnotz, W. Learning with animation: Research implications for design. Cambridge: Cambridge University Press, 2008. Thielman, Sam. “A Very Brief History of Web Video.” Adweek, 29 Apr. 2013, www.adweek.com/digital/very-brief-history-web-video-148949/.